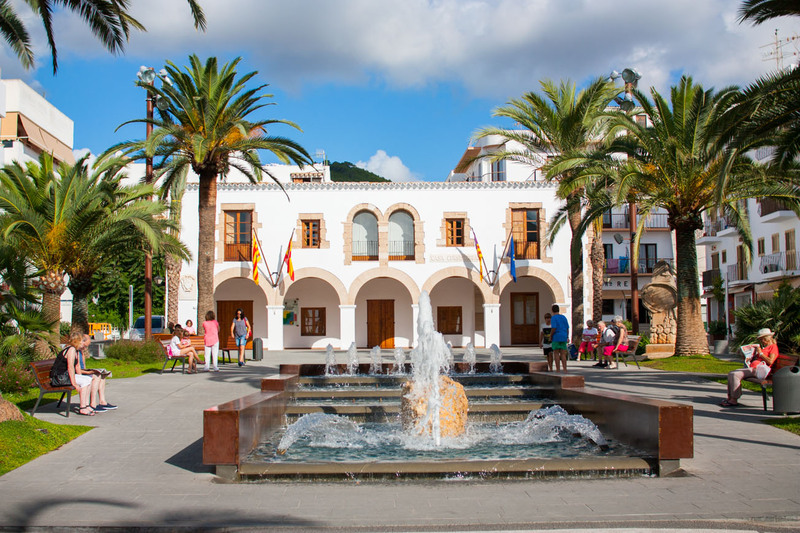 The municipality of Santa Eulalia des Riu, located on the east side of the island of Ibiza, consists of 5 parishes: Santa Eulalia, Sant Carles de Peralta, Santa Gertrudis de Fruitera, Nuestra Señora de Jesús and Puig d’en Valls. 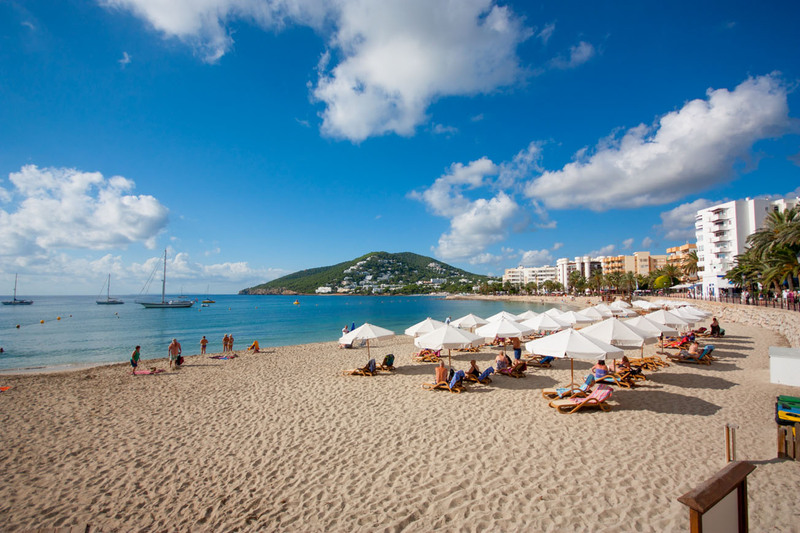 Santa Eulalia has the only river in the island of Ibiza and of the whole Balearic Islands archipelago. 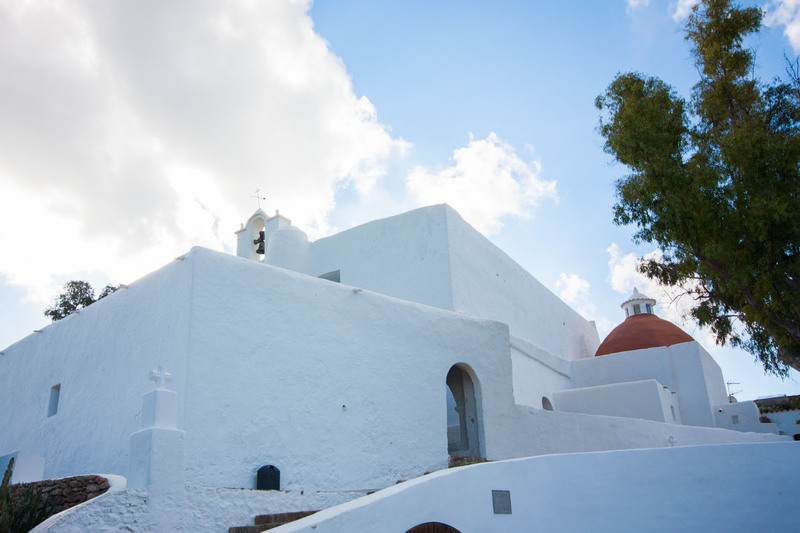 It ends with little volume with a length of 11 Kms, leaving the town of Santa Eulalia on the left bank dominated by Puig de Missa (a fortified Church of the sixteenth century), the most characteristic image of the village with its old whitewashed church that was destroyed and rebuilt several times due to pirate attacks. Next to Puig de Missa of Santa Eulària des Riu is Can Ros, an old casa payesa (traditional Ibizan rustic farmhouse) now designated as the local ethnography museum. 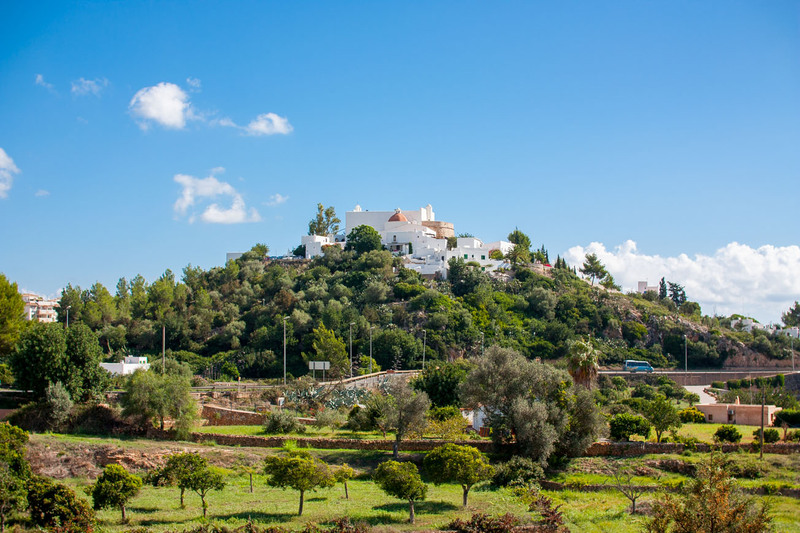 A great example of Ibiza’s rural architecture, its exhibition covers from clothing and jewellery to many household objects used in casas payesas, farm implements, crafts, specific task tools, musical instruments, weapons and personal objects. Located at the foot of Puig de Missa, we find the Interpretation Centre del Río – Can Planetes -. 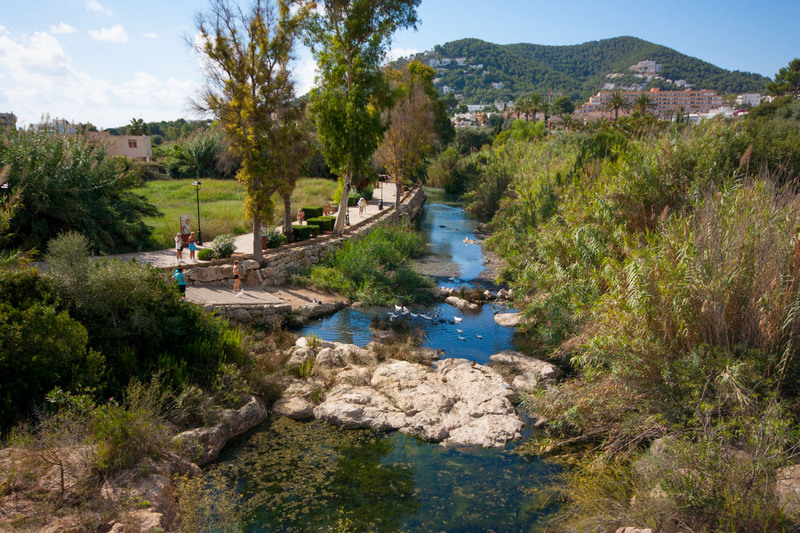 Here, visitors can see some parts of traditional Ibizan houses and learn the history of the Santa Eulària river, its importance in the agricultural development of the surrounding areas over the centuries and the watermill culture. 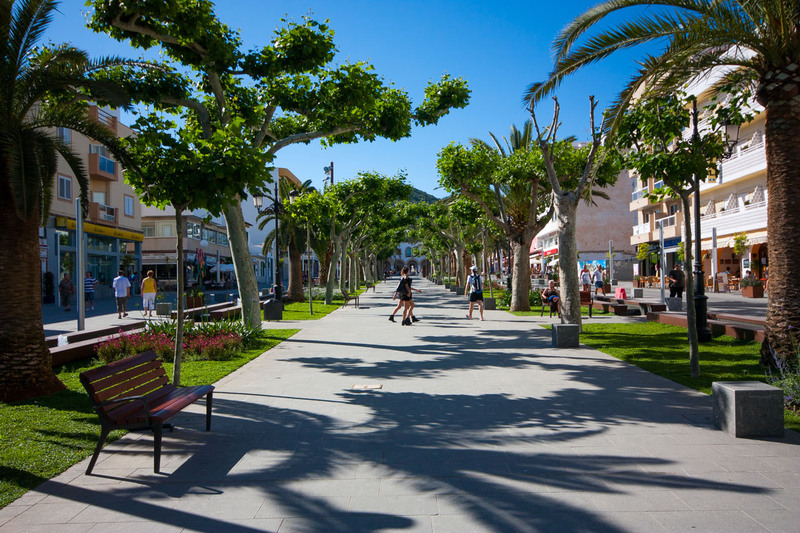 El Paseo Marítimo (the seaside promenade) is the liveliest spot of the town of Santa Eulària, where you’ll find the majority of shops and cafes where you can sit and enjoy the great atmosphere. Here you’ll find fantastic fashion and clothing boutiques such as Lacoste, Angie, Rezet, Pecado Original… As well as the best souvenir shops on the island. 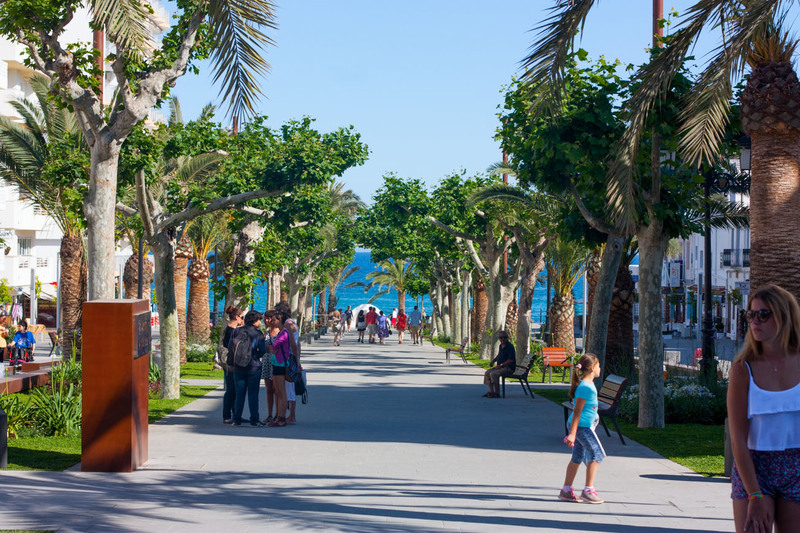 We end the visit of this emblematic town, right below the promenade, we found a wonderful long and wide beach. Its waters are clean and shallow, being safe for the children and palatable for the less experienced swimmers. There are excellent watersports facilities and the quality of the water is very high.